Attorneys are critical partners for protecting your legal rights to property and personal freedom. Whether you are plaintiff or defendant, it’s almost impossible to win a case without qualified representation. Courts have specific procedures that attorneys understand very well, but your case can be thrown out if you make a procedural error. Attorneys also have a thorough understanding of the law that can be applied to make your case more compelling when you stand before a judge. Attorneys earn high pay because they add substantial value and retaining qualified representation will get you a significant return on investment in most situations. The web of laws in the U.S. is so extensive that legal texts can fill an entire library. In fact, there are so many laws that attorneys tend to focus on a specific area of law in order to add maximum value. It takes years for attorneys to acquire a basic understanding of the law when they are studying at a university. After graduation, attorneys receive additional training as they study for their bar examination and learn from senior partners at their firm. Without the training necessary to practice law, it is unrealistic for you to figure out how to defend a case on your own. Knowledge of law is the primary driver of outcomes in the modern court system. When your attorney knows the best statutes to cite when advocating on your behalf, the chances of a judge ruling in your favor increase substantially. 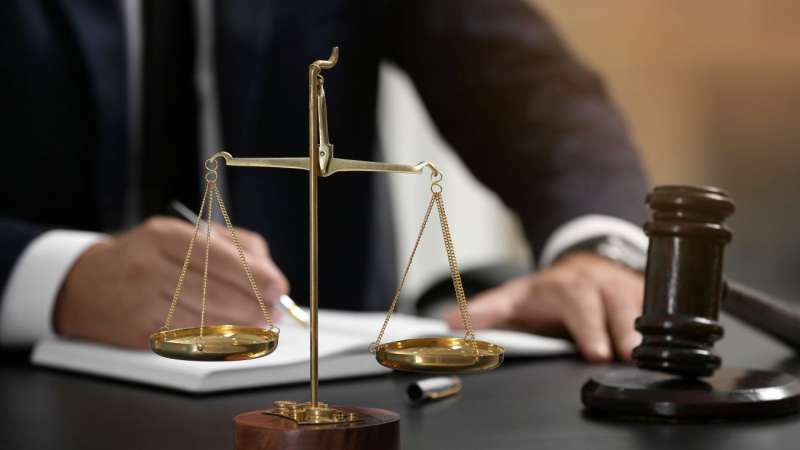 Attorneys can also leverage their understanding of the law to make sure that information given to a judge is shared with the intention of getting a positive outcome. People who speak their mind in a courtroom can easily incriminate themselves or say something that could lead to an immediate ruling in favor of the opposing party. Your attorney can use his knowledge of the law to prevent costly mistakes and to convey information that will help to increase the credibility of your case. You should also keep in mind that attorneys are required to maintain an up-to-date understanding of the law. Legislators pass new laws on a weekly basis at both the federal and state levels. If you think that you understand a specific law from your past experiences, courts could still rule against you when relevant laws are modified or removed. Additionally, courts can change the way that they interpret laws over time. People who attempt to defend their own case are easily defeated by a knowledgeable attorney who understands how established interpretations differ from the letter of the law. Your attorney can help you to understand how laws are applied in the current legal environment. Contracts are an unavoidable part of living in a civilized society. Everyone has to sign contracts before receiving a mortgage or getting a new job. Unfortunately, millions of people every year make the mistake of signing a contract that they do not understand. A single clause in a contract can restrict your ability to find employment, start a business, or travel to certain parts of the world. You could even be sued for millions of dollars if you unknowingly breach a contract that you do not understand. Courts will rule in favor of a party pressing a lawsuit against you regardless of whether you understood the contract that you signed. A judge will say that you should have known that you were breaching a contract in most cases. It is especially difficult to be given leniency when you breach a contract in a civil case because the standard of proof necessary to show that you acted negligently is only a “preponderance of the evidence.” As long as the opposing party argues that you should have known what you were agreeing to do, you are almost certain to lose your case. The best way to avoid legal mistakes is to have an attorney review any contract that you sign. In many cases, attorneys can negotiate with the party you are contracting with to have key clauses removed. The trained eye of an attorney, therefore, can prevent you from experiencing a lawsuit. Attorneys can also explain legal matters in plain English so that you are sure about what you will be expected to do under the terms of a prospective agreement. Your attorney may even be able to point out terms that are unenforceable under state or federal law so that you can have more bargaining power after signing a contract. Attorneys who help you to avoid costly legal mistakes and present you with new opportunities can net you hundreds of thousands of dollars in savings in the long run. Attorneys can calmly guide you through overcoming a legal summons or lawsuit when you need to defend a case. Discovering that you have been summoned by a court can lead to overwhelming stress, but attorneys can give you the information necessary for understanding the best path forward. In many cases, attorneys can have a legal summons dismissed without requiring you to attend a hearing. Your attorney can also help you to ensure that you comply with the terms of your legal summons and arrive at court with the resources necessary to defend your case. Being summoned by a court can have a devastating impact on your financial future, so it is critical to work with an attorney who knows how to defend your case.